Hello, Neville Longbottom! Matthew Lewis Is Too Hot to Handle in Outtakes From This Shirtless Photo Shoot—See the Pic! Sure, it's a well-documented fact that Matthew Lewis AKA Neville Longbottom is now a hottie. But let's just say that the news will never get old, especially with these new outtakes from his shirtless photo shoot. Celebrity photographer Joseph Sinclair blessed followers Wednesday morning with the pics, which were from a shoot with Attitude magazine. 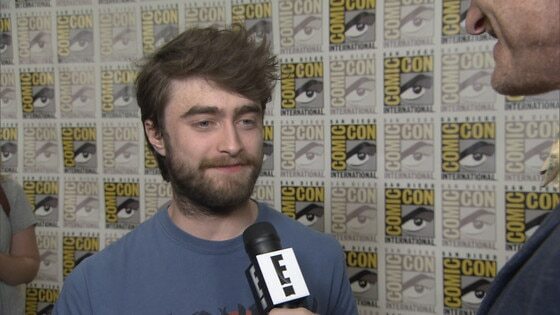 The Harry Potter star stood in his briefs and sweatpants, but the real focus here is his 10-pack abs. His biceps aren't too shabby either. Lewis reposted the photo on his own Instagram account and captioned the pic, "A 'regram' (is that what they call it?) from the one and only @josephsinclair. That boy got mad skillz with the camera." Whether it's the photographer's "mad skillz" or Lewis' body that's doing the trick, we're just happy to see the behind-the-scenes results. The actor-turned-model covered the June 2015 issue of Attitude, where he put his enormous bulge on display and attributed his even better body to getting in shape for Me Before You. Even though the world can't stop swooning at Lewis' transformation, the actor confessed that he still sees himself as "just average," even though his friends think he has undergone the Hollywood makeover. "Whenever I go back to Leeds or see people I went to school with they always talk about my veneers. I'm like, 'I haven't got veneers! These are my actual teeth!' If I can't f--king convince people I went to school with how am I going to convince anyone else!" Lewis told the magazine. "I had these braces—which were f--king painful by the way—for six months, and then it was kind of a weird thing." If they're anything like us, they're not looking at your teeth, Matthew! Daniel Radcliffe Receives "Rear of the Year"
PHOTOS: Matthew Lewis' transformation from Hogwarts to hottie!